A fabulous weekend of cross country skiing in Italy designed to improve your cross country ski technique. This is the perfect winter break for those who have done a few days previously and now want to make progress. We offer expert cross country ski tuition on world-class tracks, combined with Italian cuisine, comfort and cappuccini. We are based in the gorgeous Italian village of Cogne, which is often referred to as the 'Queen of Italian Cross Country' venues. It offers exceptional skiing away from the crowds in the Gran Paradiso National Park, which is home to Italy's highest peak. It is a lovely location with traditional stone-houses and an eighteenth-century chapel. We only work with instructors who are truly passionate about the sport, and with small groups to ensure quality tuition. If you are new to cross country skiing then you might like to consider our 'Beginners' Italian Ski Break, details of which can be found here. On this long weekend you will improve your 'classic' technique on the excellent tracks at Cogne which offer a wide range of terrain from completely flat, to substantial hills. There really is something for everyone in this gorgeous Italian valley. It is worth noting that cross country skiing can be a very aerobic activity, which also makes it ideal for winter 'cross-training'. On the other hand you can relax, take your time and just enjoy being out in the mountains. We begin our trip with a short walk to the ski hire shop where we will fit your skis and boots, and then it is only a few metres to the stadium in Cogne. The village hosts several important cross country ski races every year, and as a result it has a beautifully prepared stadium area which is totally flat and has up to 8 sets of tracks groomed each day. It really is the perfect arena to re-visit your 'classic' cross country ski skills. Our Instructors are fully qualified professionals and have the necessary skills to ensure you will soon be making progress. The morning will most likely be spent re-visiting various exercises to encourage you to feel 'comfortable' on the skis. The pace is relaxed, and the atmosphere supportive. Mid-morning we usually have a cappuccino and cake break, and lunch is in one of the many local restaurants or cafes. In the afternoon we return to our skis and the stadium area for further practice, consolidating your learning with options to make a short journey. After a day on the ski trails there will still be time to explore the shops, bars for a pre-dinner apéro or relax in the hotel wellness 'Spa La Baita'. Post ski massages can be booked directly with the hotel. Today we will once again begin in the stadium, warming up muscles, and getting moving on our skis. Morning coffee stop is, of course, part of the agenda. After some sessions on 'drills', we will normally allow a short session of free time for you to do your own thing in terms of practicing skills where you feel you have weakness. After another lovely Italian lunch and then we will spend the afternoon doing a journey. The free ski bus means we can explore the tracks to and from the neighbouring villages such as Epinel or Lillaz. With 55km (35 miles) of ski trails, many regional and national cross country ski competitions like the Marcia Gran Paradiso take place in the Cogne valley. The trails around the valley have a lot of variety with stunning views of the mountains. Wildlife such as chamois and ibex are frequently to be found foraging for food beside the ski trails. Today we plan to put all our skills into practice and make a longer tour that can be adapted to suit everyone's level. Our aim is to ski up to the upper valley of Valnontey. This snow filled valley is famous for ice climbing, and it's possible to see ice climbers tackling the spectacular frozen waterfalls that line the valley on both sides. We will stop for lunch at the characterful family run Albergo of La Barme. Think heavy stone tiles on the roof, ancient woodwork, and a tiny hamlet of old wooden houses. After lunch we tour further up the valley on undulating trails by the rivers edge with views ahead of the mountains surround the Gran Paradiso, the highest summit in Italy. Our return journey includes some enjoyable downhill sections which can again be tackled or if you feel your legs have done enough there is always the ski bus which you can take back to Cogne. A final Italian meal and overnight concludes this trip, where we hope you have enjoyed exploring both the joy of cross country skiing and the charm of the Italian Alps. Please make note of your equipment hire on our Booking Form. We will need to know your height, weight, normal shoe size (you must give us your everyday shoe size and not your personal adjustment for wearing boots) and the measurement of your height up to your armpits for ski pole hire. 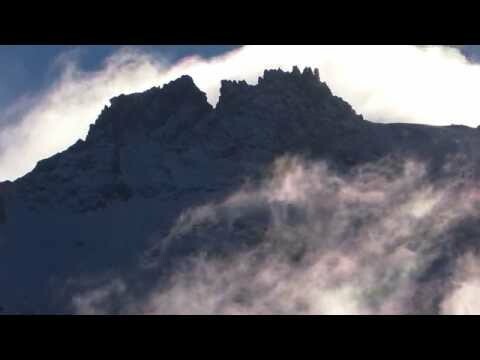 A fun film made by one of our guests, Richard Hughes, on our Italian Ski weekend.